The two Australian players are both members of the Sydney Kings and were in Auckland on Friday playing for the Kings against the New Zealand Breakers. They both took a little time out following the game to chat about the upcoming New Zealand season that tips off in April. Cadee led the NBL in scoring in 2014 and is looking forward to returning to the Rangers for a second season. “I’m excited, I guess there will be a bit more expectation than last year. I came in a bit late in the season but I loved it last year, the club was awesome, the guys I played with were awesome and I think we can build on that for this season so it’s going to be really exciting. On a more serious note he added, “I’ve heard it’s a great club. I really like our line up more than anything. We’ve got really good floor balance, BJ (Anthony) going down is pretty upsetting but hopefully, by the sound of things, we’ve got the depth to cover it and we should be OK.
“I’m really excited to be playing with Dillon (Boucher). I learnt a lot from watching him play when he was in the Australian League and I’m pretty excited to be able to play on the same team as him, it’s going to be great”. Cadee and Garlepp, have been teammates prior to this season, they played together for two seasons at Gold Coast between 2010 and 2012, before linking up again at the Sydney Kings. Cadee enjoys the company and play of the 28-year-old Garlepp. Rangers head coach Jeff Green was positively beaming about the signing of the pair. “I think both of them are going to compliment what we have in the Kiwi line up. 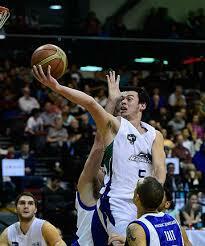 Jason Cadee as a point guard slash shooter in the NZ league is going to be awesome. Tommy Garlepp can guard anyone, he ends up guarding guards, he guards all sorts of positions and then he can score. He scores inside; he can hit the three so I think he is nice and versatile. I imagine the Rangers will be playing an up tempo style of basketball? How will the Australians benefit from playing with Dillon Boucher? “What Dillon does you can’t teach. You can’t teach the skill set that Dillon has and the influence he has on the game. Guys like Garlepp are going to grow. Is there any news on further signings? How are you enjoying getting back into the head coach roll at an NBL club? Rusty or not Green and the Rangers look to be piecing together a competitive squad. Confirmed signings are Boucher, Cadee, Garlepp and Hayden Allen, with more announcements expected in the near future.